I hope you’re all well! I’m just finished another week of work , and decided that I need to sit down and get back to writing on the blog! 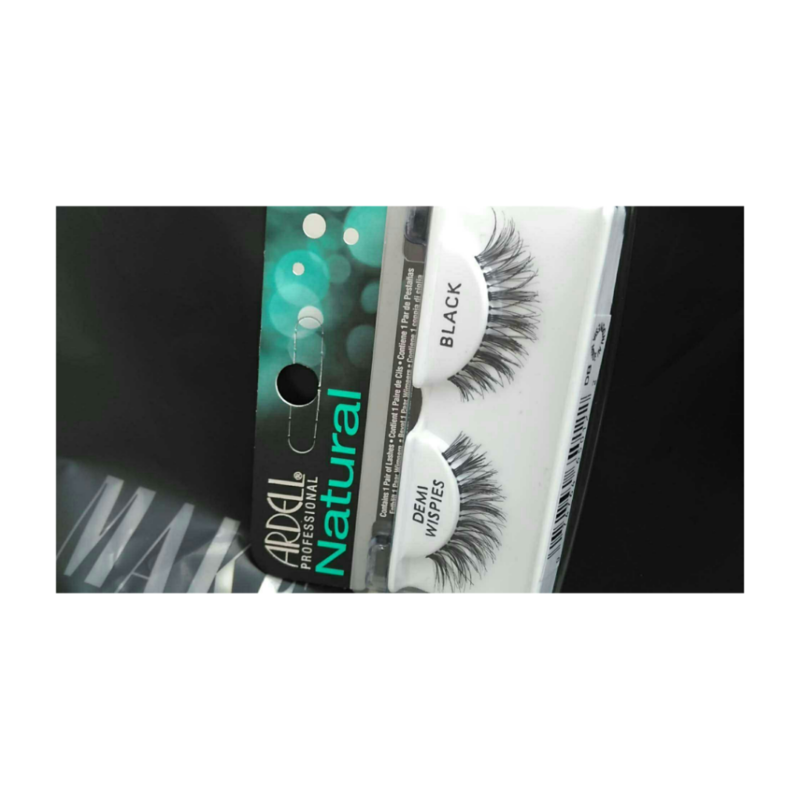 I thought today I would review the demi wispies by Ardell , this is the first lash of theirs that I have tried so I thought I would talk a little bit about it. I got these lashes at the makeup pro store in Derry and they cost me around £6.99 , which isn’t cheap . I’m used to buying the sultry lashes in penneys at €1.50 so this sort of broke my heart a little when I seen the price but I really wanted to try them so thought I would take the plunge … for the sake of the blog ( haha ) I know theres a lot of more expensive lashes out there too , but I always thought of Ardell as affordable drugstore. I’m so impressed by these lashes , I decided to get the demi wispies because I wanted a lash that I could wear everyday and not have the added drama that the original whispies have. I wore these lashes to my sisters 18th and they stayed on all night AND looked natural. I honestly do think I will go back and purchase the original wispies though to have them for nights where I do want a little something extra to add to an eye look. The band was very easy to hide because it was so thin.I love thin bands because it doesn’t look TOO obvious that you’re wearing fake lashes. With or without liner the band is very easy to hide which is something I just loved about them. There’s nothing worse than having a thick band in my opinion , they look unnatural and sometimes can be quite uncomfortable. They were easy to wear and easy to apply and felt comfortable all night which is surprsing for me since it takes a couple of wears for a pair of lashes to sit right or feel comfy on me. The only gripe I have with this product is that it doesn’t come with a little itty bitty glue tube. luckily I like to keep all my little tubes of glue that come with lashes , I just feel like its a waste to buy lash glue when half the time the glue comes with the lash. Other than that little hiccup I love these lashes. have you tried these lashes? let me know your thoughts in the comments below I’d love to hear your opinion on them. you can follow me on Instagram and Twitter to see what I get up to when I’m not blogging.